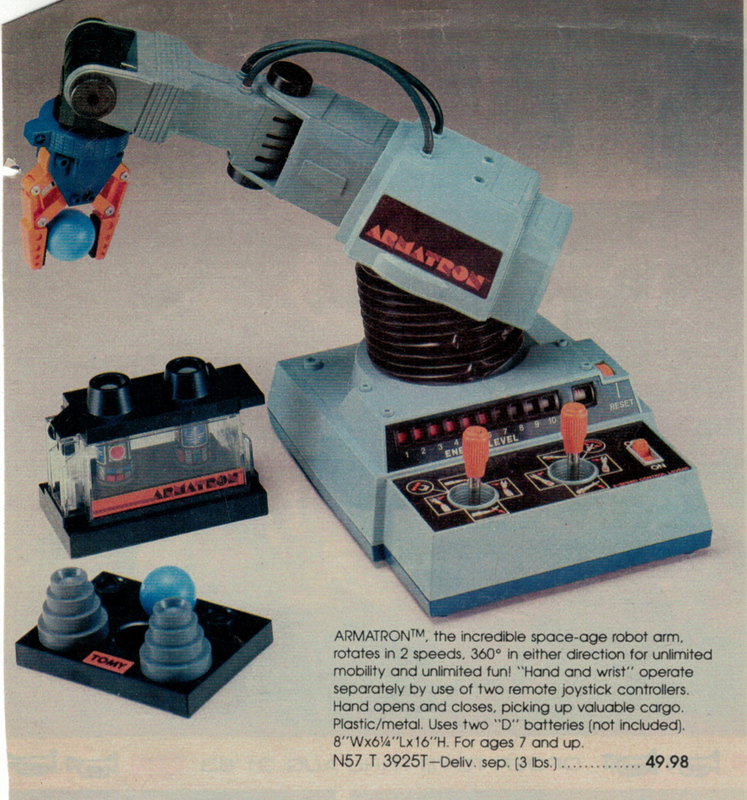 Armatron was the last toy I ever got for Christmas and man, was I excited. I spent months thinking about how cool it would be to own a robot arm. I remember getting it and it did everything it said but I guess I had built it up so much in my mind it could never live up to my mental model. I did get pretty good at it though. 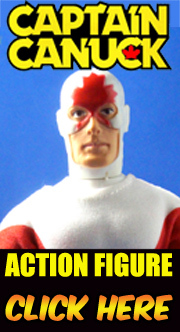 Armatron was a "surprise" present for this Anon, one Christmas. I didn't have any expectations but my ultimate reaction was the same. It did just what it said but there wasn't anything you could really -do- with it... just sit there and make pretend you were doing something more interesting. Eventually I got more play-value out of the super-cool "nuclear" devices and their plastic containment box. That thing was scaled perfectly for 3 3/4" action figures and after Star Trek II came out, they were instantly re-classified as two of the Genesis Device (which looked very similar). Armatron had a couple of other downers. First, the noise... the motor and the transmission were very loud. It produced the same ambient noise as a kiddie-sized back-hoe and it didn't take long on Christmas Day before I was told to go play with something else. Grown-Ups Were Talking and they didn't want to do it over the sound of that thing even when I was in the other room. Second, the timer, aka "Energy Level" feature. Nothing was worse than trying to do things with the mechanical arm and suddenly running out of "energy". I can understand the value to parents. It guaranteed a kid wouldn't leave the thing on and run down the batteries, though when Armatron was on, you knew it. The whole house knew it. The timer also solved the eternal problem of how long each sibiling can play. Those are great features in making adults' lives easier but it put a dent in the toy's play-value. Armatron was one of those ideas that looks great on paper but just doesn't deliver. The same is true for Tomy's "Space Pets" which still hold this Anon's personal record for biggest toy let-down. I literally JUST found my old Armatron, it still works great. Also found Digital Derby (works after minor repair) and I Took A Lickin' From A Chicken (needs a new motor). Oh the memories!